In addition to the complete line of flexible hanging systems, STAS also offers an extensive range of additional hanging solutions and accessories. 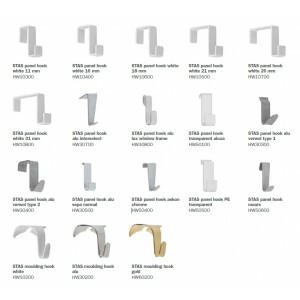 STAS offers numerous related products. 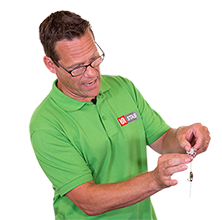 View the complete range of additional STAS products. With small, powerful magnets you can easily attach cards, photos and memos to a STAS steel cable. Create your own personal atmosphere in your kitchen, living room or office time and time again. A STAS magnet set consists of a steel cable with cobra and five or ten magnets. Hook the steel cable into your STAS rail. Using the magnets, you can then ang photos, cards and memos on the cable. 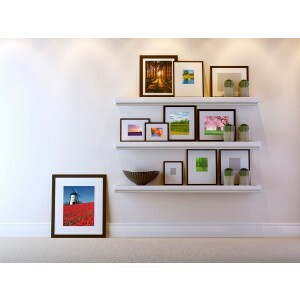 It’s ideal for Christmas cards, birthday cards, to-do notes or temporary displays. 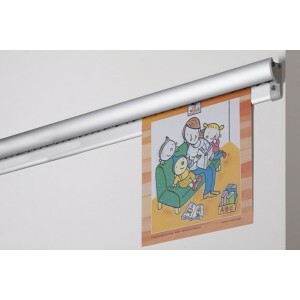 STAS offers a choice of three magnet sets: white, coloured or 2-in-1. The white and coloured variants of the STAS magnet set cannot be combined with STAS j-rail, STAS j-rail max and STAS plasterrail. 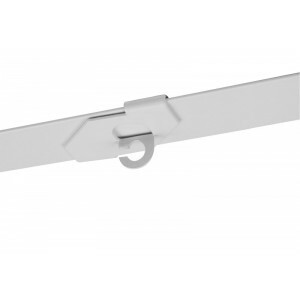 The 2-in-1 variant can be combined with all STAS rails except for STAS j-rail max. 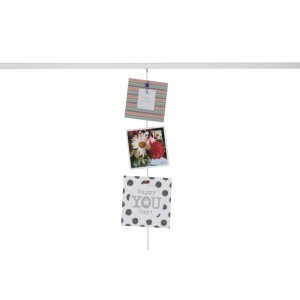 STAS picture hits are transparent plastic clips that allow you to easily connect photos, cards and other lightweight decorative items to each other and to your STAS rail. The first clip is screwed into your STAS rail. Then you can slide a photo, card or other decoration into the clip. By sliding a new STAS picture hit on the bottom or side, you can attach another decoration. Step by step, you can create your own unique collage. 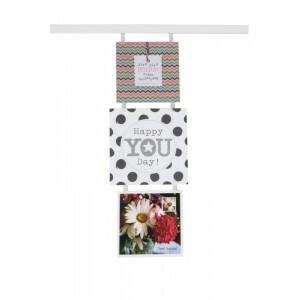 STAS picture hits are ideal for temporary or changing decorations, for instance photos, Christmas cards, birthday cards, vacation snaps, garlands/streamers and other party or seasonal attributes. Sometimes you don’t want to hang your pictures but just put them down on a rail. STAS developed the set up rail to enable you to do this in a stylish and easy way. This stylish rail measuring 145 cm in length has a neutral design and can be used in many ways. Each rail requires 6 screws and wall plugs for mounting. The classic STAS poster strip made of transparent plastic. 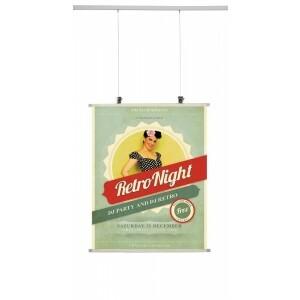 The STAS poster snap is a high-quality version of the classic poster strip, made of aluminum, for heavier posters and canvases.